GIVEAWAY: Letters to Women is Celebrating 1 Year! On June 1, 2017, I launched the Letters to Women Podcast. It was a project Jesus kept placing on my heart. I didn't know exactly what the podcast would look like, I'd never used podcast recording equipment before, and I wondered if anyone would listen. One year later, I'm getting ready to celebrate the anniversary of Letters to Women! Without a doubt, it has been one of the most life-giving, fruitful projects I've ever embarked on. I've met amazing women, had incredible heart to heart conversations, and the Holy Spirit has been so present in this adventure. To celebrate Letters to Women's birthday, I'm excited to share a beautiful giveaway. Each of the prizes were donated by the amazing women who I have met in the past year. Here's a look at the prizes and a look back at the first year of Letters to Women! Last September, I sat down with Samantha Povlock, who runs FemCatholic: For Women, For the Church. Her mission is to educate, encourage, and empower women as they strive for Christ. During our episode together, we talked about Edith Stein, John Paul II's call for a New Feminism, and Theology of the Body. Click here to listen to 'A Letter to the Woman Wondering about Feminism' here! The winner of the giveaway will a 'Thank you, Women Who Work' mug from Samantha. Want more items inspired by Saint Pope John Paul II's Letter to Women? Check out the rest of the merchandise available at the FemCatholic shop. Last December, The Bible Evagnelista - Sonja Corbitt- joined me on Letters to Women. She converted to Catholicism and is working to break the stereotype that Catholics don't read the Bible. We discussed how to pray through Lectio Divina, how to heal the father wound in our life, and how to love the Word of God. Click here to listen to 'A Letter to the Woman Who Wants to Read the Bible'. The winner of the giveaway will receive a copy of Ignite! Read the Bible Like Never Before, by Sonja Corbitt and Deacon Harold Burke-Sivers. I loved visiting with Maria Morera Johnson last fall. We talked about her friendship with the saints, and how holiness is for all of us! I loved how her book compliments the culture's latest super hero movies. Click here to listen to 'A Letter to the Woman Looking for a Hero'. The winner of the giveaway will receive a copy of Maria's book Super Girls and Halos: My Companions on the Quest for Truth, Justice, and Heroic Virtue. I hate Spring cleaning, but my conversation with Mary Elizabeth Sperry this Spring made a world of difference when it came to tackling my crammed junk drawers and disorderly cabinets. Mary Elizabeth shared practical tips for how to declutter, but also tied the entire conversation back to our interior lives and relationship with God. Click here to listen to 'A Letter to the Woman with a Messy Closet'. The winner of the giveaway will receive a signed copy of Mary Elizabeth Sperry's latest book, Making Room for God: Decluttering and the Spiritual Life. Something that was incredibly comforting to both Amy and I during our loss was Scripture. The winner of the giveaway will receive a copy of The New American Bible from Amy! I learned so much from my episode this spring with Dr. Carrie Gress. We talked about how Mary can save civilization what Marian consecration means, and how to live out Marian consecration in today's world. Click here to listen to 'A Letter to Women About the Most Influential Woman in the World'. The winner of the giveaway will receive a copy of Dr. Carrie Gress' latest book, Marian Consecration for Children: Bringing Mary to Life in Young Hearts and Minds. We've all been bored at Mass before. This past January, Kassie Manning and I visited about how we, as women, can be intentional with our time at Mass. Kassie and Christie's beautiful creation of Every Sacred Sunday has radically changed how I enter into the Mass on the weekends. Click here to listen to 'A Letter to the Woman Who is Bored at Mass'. Of course this giveaway would include more than one coffee mug - if you're like me you drink multiple cups of coffee a day. Multiple cups of coffee call for multiple mugs! The winner of the giveaway will receive an 'Every Sacred Sunday' teal coffee mug to call their own. I loved talking to Michele and Emily last November. There's nothing better than discussing friendship than discussing friendship with two women with an inspiring friendship that strives towards virtue. Friendships with women get a bad rap (catty! Back stabbers!) but Emily and Michele's book gives a blue print for how to delve deeper with the women in your lives. Click here to listen to 'A Letter to the Woman Desiring Virtuous Friendships'. 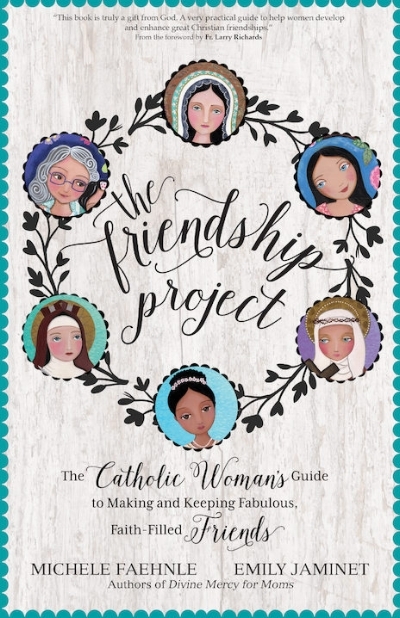 The winner of this giveaway will get to dive into a copy of The Friendship Project by Michele Faehnle and Emily Jaminet. Sarah Swafford's writing on relationships changed the way that I viewed the men in my life. It was such a blessing to sit down with her over a cup of coffee this spring and discuss a life of virtue. Click here to listen to 'A Letter to the Woman Who Doesn't Have it All Together'. The winner of the giveaway will win a signed copy of Sarah's book 'Emotional Virtue'. Ginny Kochis of Not So Formulaic is an inspiring advocate not only for her own children, but for children and parents everywhere. She sat down with me in March of this year and discussed how she and her husband parent a twice exceptional child. Click here to listen to 'A Letter to the Woman Raising Twice Exceptional Children'. 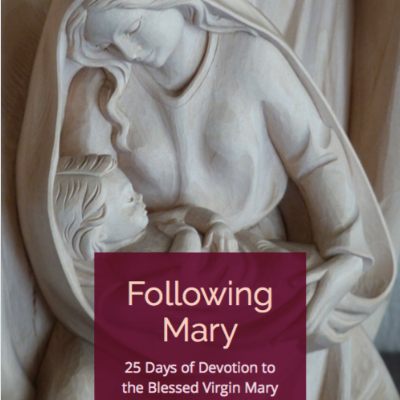 The winner of the giveaway will receive an electronic copy of Ginny's e- book '25 Days of Devotion to the Virgin Mary'. The book is full of meditations, prayers, and activities for kids and their moms! I was looking for a way to get back into running when I met Johanna from Catholic Women Run. She invited me into her Advent challenge and, thanks to her inspiration and encouragement, I ran my first 10K in March! Click here to listen to 'A Letter to the Woman Running to Christ'. The winner of the giveaway will receive a new running water bottle from Catholic Women Run. The one year anniversary celebration giveaway starts Friday, May 25th and runs until May 31st, 2018. I'll announce a winner on June 1st, 2018 - the one year anniversary of the podcast! Open to United States residents only. 7 QT 46: Hikes, cocktails, and a giveaway!